Read interviews, listen to podcasts, see videos, and more of Holl and Lane womens magazine. Check out the articles below to see where Holl & Lane has been featured. 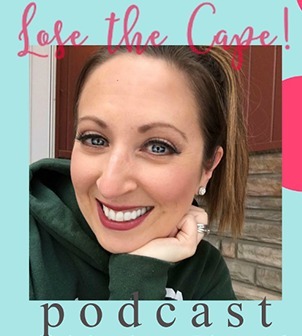 Sarah chats about telling your story, building community around vulnerability, and being a work-from-home mama to 2 littles! When pregnant with my first son, I was desperately seeking someone who would tell me that what I was feeling during my pregnancy (not glowing or beautiful or any of the other things the media tells you you’ll feel) was okay. I couldn’t find it. So I began writing on my personal blog all of these feelings I was having. The readers of my blog soon began to share with me their own stories and thanked me for being so transparent about it all. When that happened, I realized just how needed honest media was. 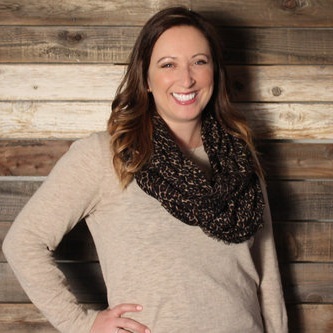 Sarah talks about the indie magazine publishing world, the process for producing a magazine, and why it’s important to connect with your customers on a personal level when selling your product. Sarah, talked with Kiley and Blaine from The Misses Ambitious Podcast about starting H&L from the ground up and the mission behind her work. Hear all about how Sarah came to start Holl & Lane Magazine. Sarah brought this idea to life four years ago while taking care of her newborn and wanting to share the reality of the 'not-so-cute' parts of pregnancy. From there this magazine developed into sharing stories on miscarriage and infertility, mental health and body image, love and loss and so much more. Holl & Lane is opening the door on conversation and shutting the door on shame, which I am SO about! I recently went on we are the REVELERS, a lifestyle podcast for creatives hosted by Randy + Misty Bradley. We chatted about chasing a dream bigger than you. I'm sharing all about Holl & Lane magazine and managing a work-life blend for working full-time and chasing dreams in the fringe hours. A side hustle featuring a magazine that tells personal stories and empowers everyday women. Holl & Lane is a beautiful, powerful magazine which tells real life stories from real women for the purpose of starting real conversations. I had the privilege of interviewing the editor Sarah Hartley for Girl Untold, and I'm delighted to share this conversation! I really only need my wallet, sunglasses, makeup, and most importantly reading material! For my trip to NYC I’m taking along a digital copy of Holl and Lane Magazine. In this episode, Lauren sat down with Sarah Hartley, creator and Editor-In-Chief of Holl and Lane Magazine, to hear her journey of taking this bucket list dream and making it a reality. Spoiler alert: making your dream a reality is hard and exhausting and not at all the glamorous Hollywood-esque journey you'd imagine. In this episode, Alexa and Aubrey interview Sarah to discuss working full-time with a side hustle and a family. Sarah also shares how important it is to be able to say "me, too" with the stories in the magazine. I can’t speak for Editor in Chief, Sarah, personally, but I have read her magazines and blog and I can imagine there were times in her journey of starting Holl and Lane that she probably felt like it may all just be a bit too hard. She probably wondered if it would work. She probably had no idea who would read her magazine. But she did it anyway. And her doing her thing, led to me doing my thing. And my thing happened to be the dream of my life. This quarterly magazine melted my heart when I received it this past month. It is a truly inspiring dedication to all women to remind us we are not alone. They use shared experiences to connect women from all over and this month’s theme was “New Beginnings” and how they impact us all. Holl and Lane is artfully designed with thoughtfully written pieces from women from various walks of life. Stories from single parents to the dating woman with beautiful photographs to go with each story. It is a magazine that will leave you inspired and moved to tears. It is genuine and raw. Holl and Lane was like that to me: there was something behind those gorgeous images, there was a woman, a strong, determined, loving, powerful, romantic, passionate one, definitely a talented and equally tunes team and a message. And the word was loud and clear HONEST. Searching for a magazine that featured real life in a beautiful way, that would give women a voice and a platform, Sarah set out to create that magazine and has been ecstatic about the response to her mission. Talking about the start of Holl & Lane, why it was started, and where it's going. Sarah Hartley of Holl & Lane Magazine, a forerunner in this shift towards honest living, has created a business by encouraging real woman to be bold and brave about the truths they have gone through. She fully believes that when you are courageous enough to tell your story, you are then helping someone else feel less alone. I recently discovered and subscribe to Holl & Lane Magazine, which is a great alternative if you need new reading material. On Violet Roots, I like to put the focus on amazing women whether it’s through my music, blogger or creative interview series or by showcasing brands helmed by female visionaries. Today is no different and I’m more than happy to introduce you to Holl & Lane Magazine. This digital lifestyle publication, run by editor and chief, Sarah Hartley, is packed with amazing women from different backgrounds and with various life experiences. All the stories are heartfelt and, even if a perspective is different from yours there is still value in hearing the stories of others. This Gem works full-time, is raising the most handsome two year old I’ve ever seen, and somehow also finds time to runs a digital and print magazine! As if that isn’t impressive enough, the concept of her mag, Holl & Lane, is to give a voice to the stories that often go untold by creating beautiful conversations. A lifestyle magazine is not just about life. It holds stories that make up our lives. It is a multi-faceted structure of ideas locked into one digital platform. Compiling multiple stories into one issue is a challenge, and launching a magazine from a scratch is a commitment involving continuous research, creativity, and a perpetual curiosity towards the world. Markets Media Life had an exclusive interview with Sarah Hartley, Editor-in-Chief of Holl & Lane, a digital bimonthly magazine that covers everything from interior design, travel to family bonding and life tales around us. We asked Sarah to talk about Holl & Lane in detail and how she was inspired to launch her own magazine.